La Palina Classic Maduro | Chicago's Pipe, Cigar & Tobacco Store | Iwan Ries & Co.
La Palina Cigars have been a common stock in humidors across the US for many years, praised for immaculate construction and the most refined tastes. Their roots trace back to the late 1800’s with founder Sam Paley, a very successful business man. When Paley retired in 1926, the production of his cigars seemed to do the same, only to be revived by Mr. Paleys grandson, Bill. 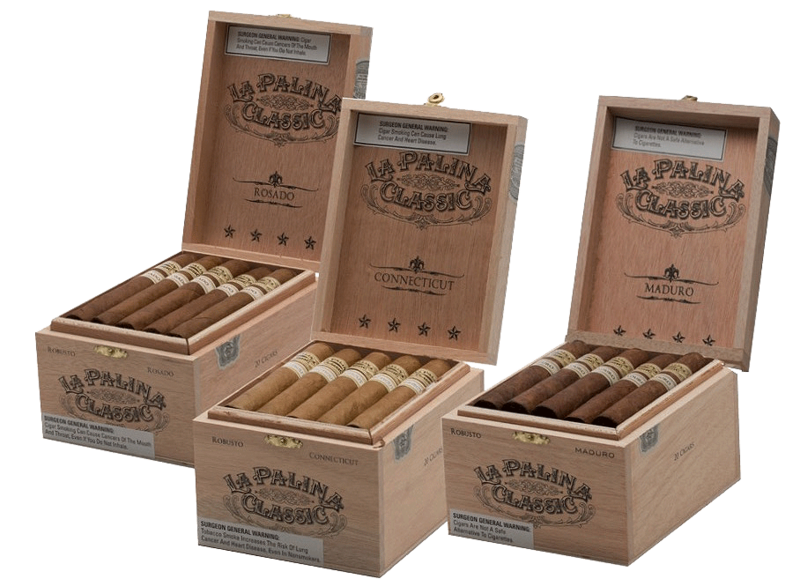 Now, La Palina’s Classic line is getting an overhaul with three new releases , and this time they are here to stay. The La Palina Classic Maduro comes dressed in a deep brown Honduran wrapper that’s directly responsible for the tasty, full-bodied profile. A peek under the sheets will reveal Honduran, Dominican, and Nicaraguan long-fillers of the highest quality. From top to tail this cigar is impressive, with flavors of dark roasted coffee, black pepper and earth. Great construction, a bevy of full-bodied flavors and a modest price – this new addition to La Palina’s Classic Line will not disappoint.